In our house, stockings are always opened last. The scene is usually like this: we’ve been opening presents for hours (we are the type that open slowly and watch each other open each gift, and yes, this is the best way to do it), cinnamon rolls have been eaten, adults are already thinking about naps, and kids are taking their last toy out of its box. Suddenly there is a surge of energy again and…we open stockings! For us, because this is the last thing we each get to open, I feel like it should be filled with small—but awesome—gifts to end the morning on a great note! 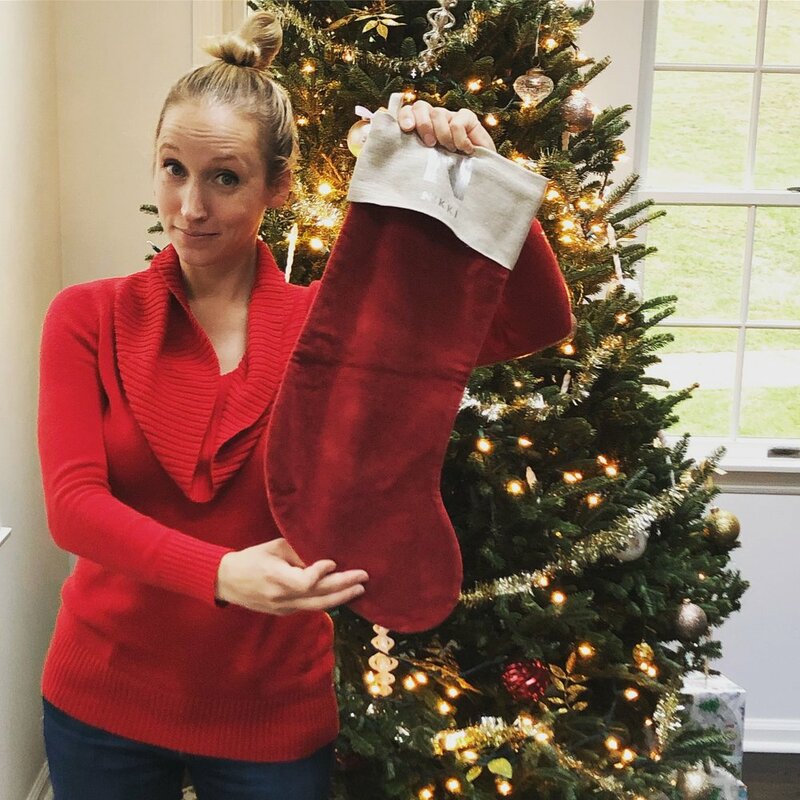 A “Lump of Coal”—Come on! How cute! This charcoal soap is totally on-trend as it’s using charcoal to detoxify and soften. Thinking back to our Bluebird + Blackberries Charcoal Beauty Product Challenge, us ladies know charcoal is a pretty cool thing. A cute idea and a useful product?! Sounds good to me. Etsy is an amazing site for gifts. If you’re buying for someone but are stumped, try searching a hobby or interest of theirs on etsy and you’re almost guaranteed to find some thoughtful, handmade or personalized gift that’s right up their alley. These Coffee Cozies caught my eye and I thought they would be great for almost anyone. But as a gift for a female co-worker or a teacher, they seem especially fitting. Socks are always a great idea, and it’s kind of fun to stuff a stocking (ahem, sock) with…socks! This is a place to have some fun; a pair of themed socks (like these library card socks, which are perfect for any book-loving person) add a personal touch to your gift and will definitely make the recipient smile! Last but not least, I loved this cult favorite hair product for men, American Crew Fiber. My husband will never go out and buy himself something like this because it’s just not a priority. But that doesn’t mean he won’t love it. If you have a man in your life who doesn’t own a ton of products, but likes to keep his look neat and clean, this might be the perfect thing. He can tame his locks and keep his hat head from getting out of control during these cold months.